note: track 2 is also known as hyperballad. note: pink vinyl. sealed with a sticker that has the catalogue number "tplp51l". the sleeve within and the vinyl labels have the catalogue number "tplp51". track 2 is also known as hyperballad. note: 180g heavy vinyl limited edition. 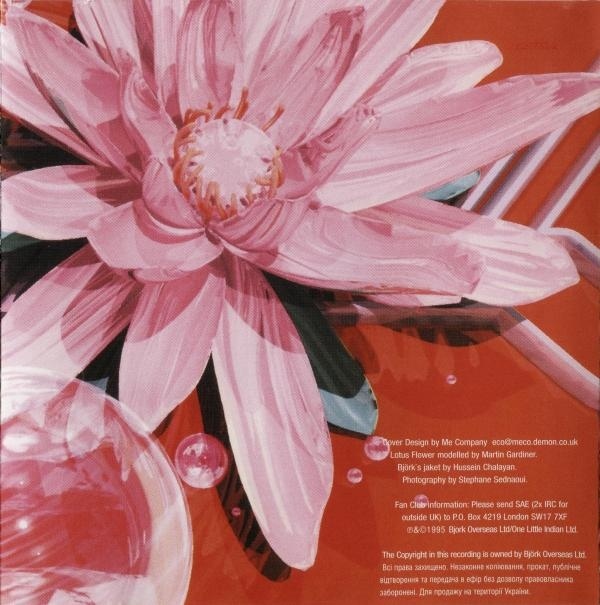 comes in a clear plastic sleeve that is sealed with a sticker that has the catalogue number "tplp51h". the sleeve within and the vinyl labels have the catalogue number "tplp51". 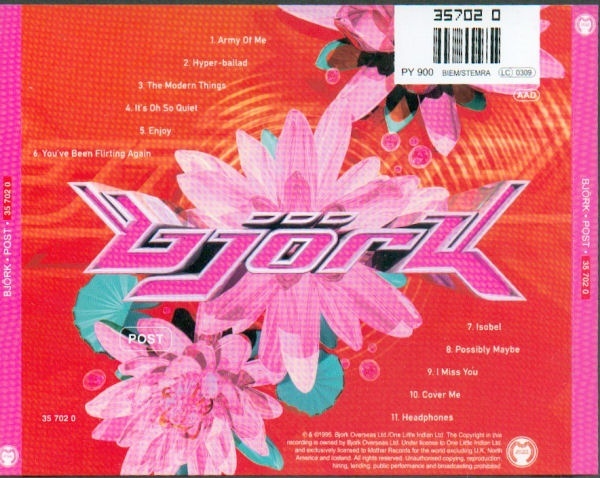 track 2 is also known as hyperballad. note: comes in a clear plastic sleeve without sticker. "tplp51h" is printed on outer sleeve rear, spine and labels. note: 140g pink coloured vinyl edition. limited to 5000 copies. note: 200g heavy vinyl edition. direct metal mastering (dmm) - remastered direct from the original master tapes. limited to 1.000 individually numbered copies only. 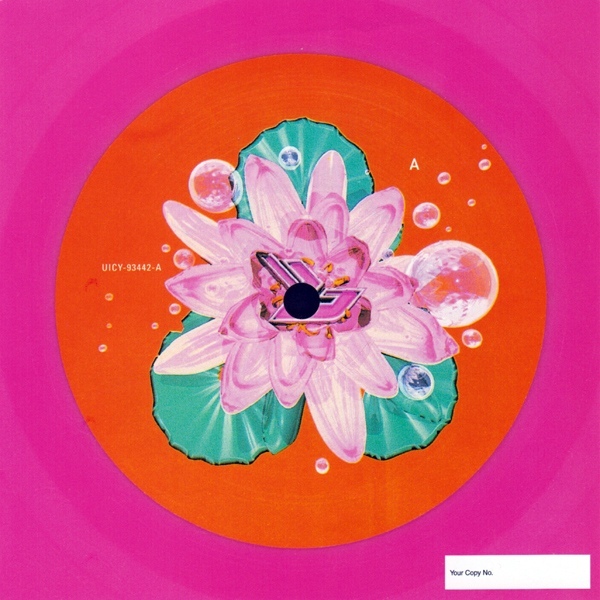 original artwork used (so track listing incorrectly splits sides between a and b). track 2 is also known as hyperballad. note: comes with mini-poster and lyrics booklet. track 2 is also known as hyperballad. note: tplp51cdx in a clear plastic purse with a strap so you can carry it. 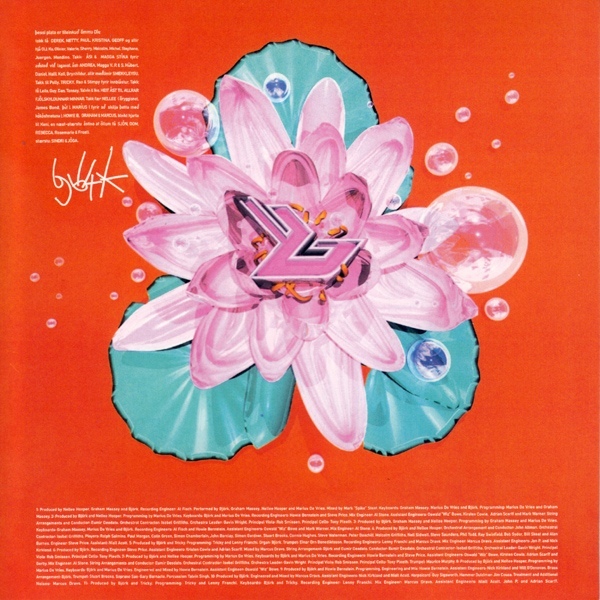 track 2 is also known as hyperballad. note: cd side: standard audio version. dvd side: audio remixed in 5:1 dolby digital and 5:1 dts. comes with the videos of army of me, isobel, it's oh so quiet, hyper-ballad, possibly maybe and i miss you. track 2 is also known as hyperballad. note: comes in a clear plastic purse that includes a cardboard box, a cassette and a lyrics booklet. 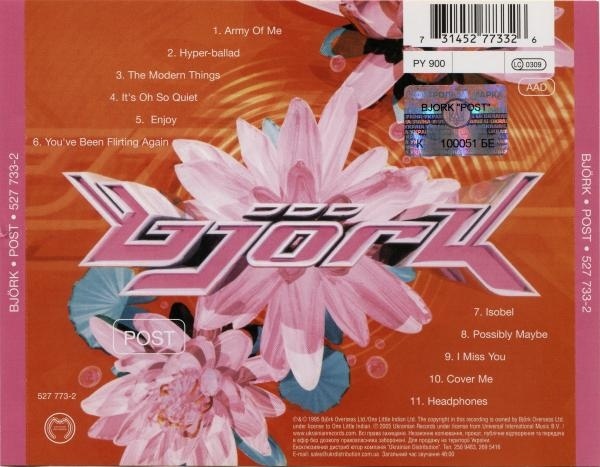 track 2 is also known as hyperballad. note: 37x27cm large format 64-page book. 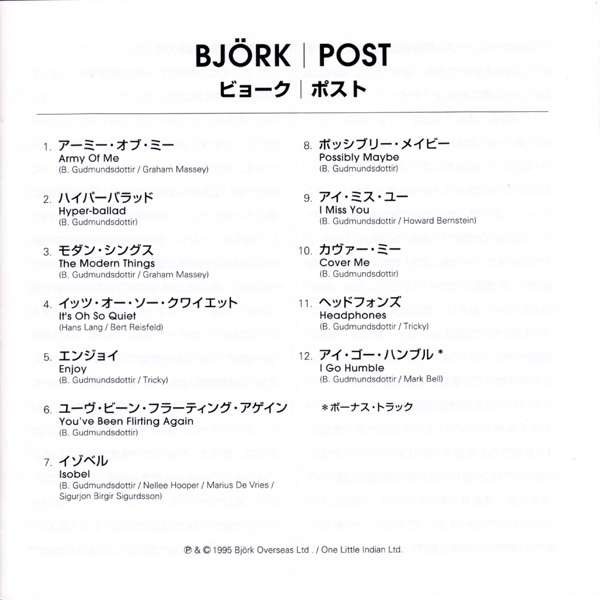 in extra plastic cover with "post" logos overlaying the picture of björk underneith. original issue with £14.99 price printed above barcode. note: 37x27cm large format 64-page book. 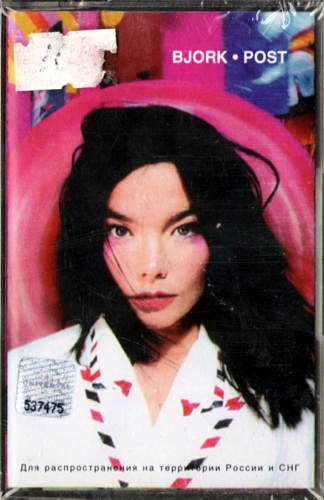 in extra plastic cover with "post" logos overlaying the picture of björk underneith. reissue without £14.99 price printed above barcode. note: track 2 is also known as hyperballad. track 4 has been later released as it's oh so quiet. note: track 1 is also known as hyper-ballad. track 2 has later been released as the modern things, track 3 as it's oh so quiet. note: track 2 is also known as hyperballad. track 3 has later been released as the modern things, track 4 as it's oh so quiet. note: 13x13inch box set, limited to 500 copies. includes tplp51c, army of me (long version) uk video promo, post uk video promo, black large "army of me" t-shirt, four b&w promo photos, one colour copy of the album sleeve, "army of me" promo postcard and a 3-page information release. note: 13x13inch box set. includes tplp51cd, small pink "army of me" t-shirt, 60x70 cm double-sided promo poster, mousepad and promo postcard. note: universal reference on cd matrix. front logo is not a sticker, but printed. 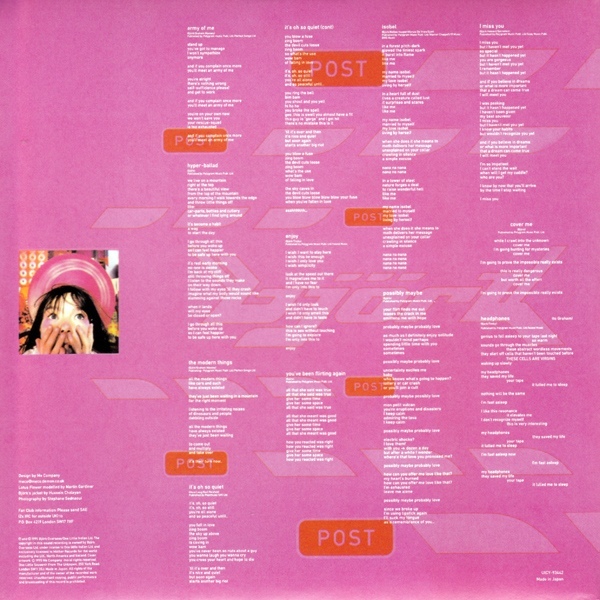 track 2 is also known as hyperballad. note: track 2 is also known as hyperballad. 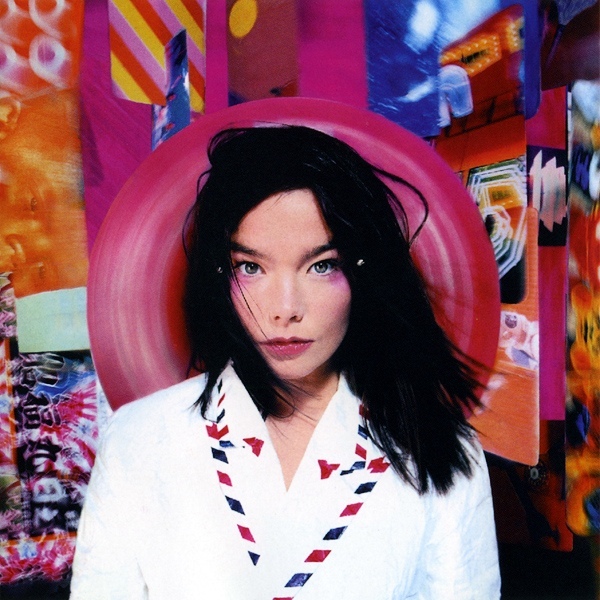 may come with a temporary tattoo replica of björk's left arm tattoo or a black b-logo t-shirt. note: re-release. track 2 is also known as hyperballad. note: special limited tour edition. 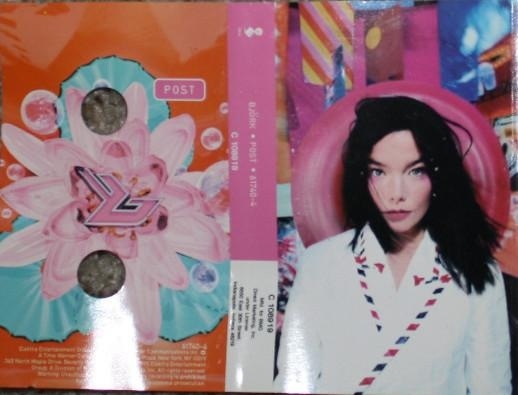 527239-2 is the catalogue number for the whole set, the album cd is 527733-2, the bonus cd is 577465-2. cd1, track 2 and cd2, track 3 are also known as hyperballad. note: track 3 has later been released as the modern things. track 4 is also known as hyper-ballad. note: columbia house club mail-order music service release. note: 37x27cm large format 64-page book. 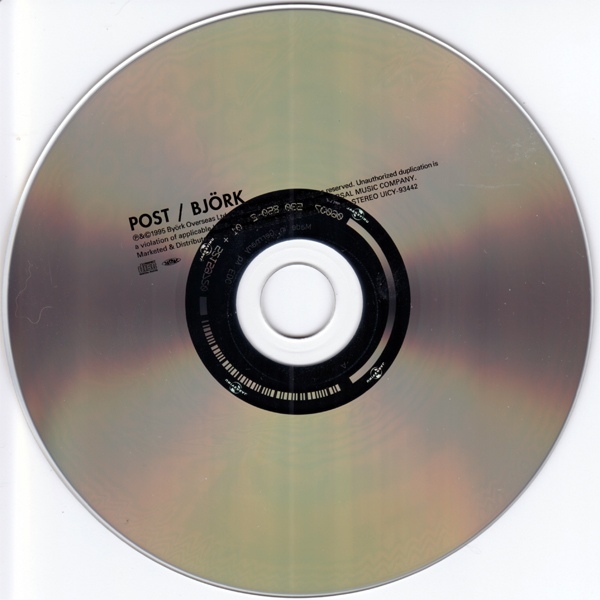 in extra plastic cover with "post" logos overlaying the picture of björk underneith. version for denmark in danish language. note: "biem/stemra" is printed on disc and in the middle box under barcode. note: "biem/stemra" is printed on disc, empty middle box under barcode. note: "biem/mcps" is printed on disc, empty middle box under barcode. 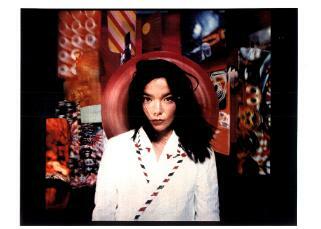 note: 527733-2 (europe digipak) in a clear plastic purse with a strap so you can carry it. track 2 is also known as hyperballad. note: 527733-2 (europe jewelcase) that comes in a polypurse-like handbag. track 2 is also known as hyperballad. 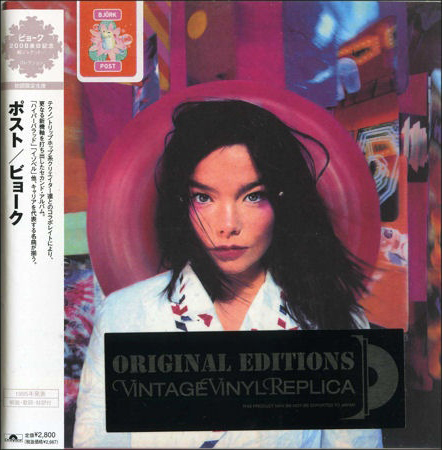 note: cd presented in mini lp-style card sleeve with mini replica inner sleeve, japanese/english lyrics booklet, insert and obi strip, housed in 'original editions vintage vinyl replica' stickered pvc wallet. "i go humble" is mentioned in the tracklist but not present on the cd. note: track 2 is also known as hyper-ballad. track 3 has later been released as the modern things, track 4 as it's oh so quiet. note: track 2 and 4: wrong running times printed on cd label. 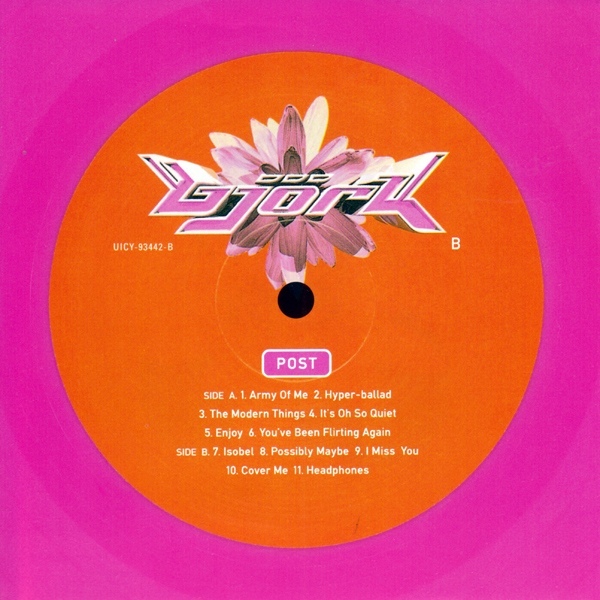 track 2 has later been released as hyper-ballad. note: golden polygram logo on dark cassette. note: golden polygram logo on transparent cassette. no side designations. note: black polygram logo on cassette. note: comes with badge and lyrics sheet. 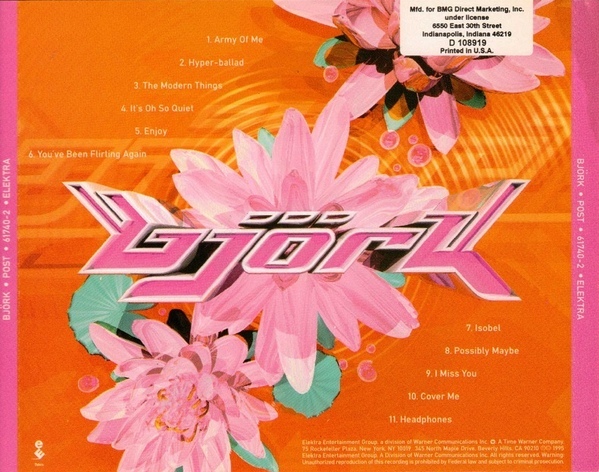 track 2 is also known as hyperballad. 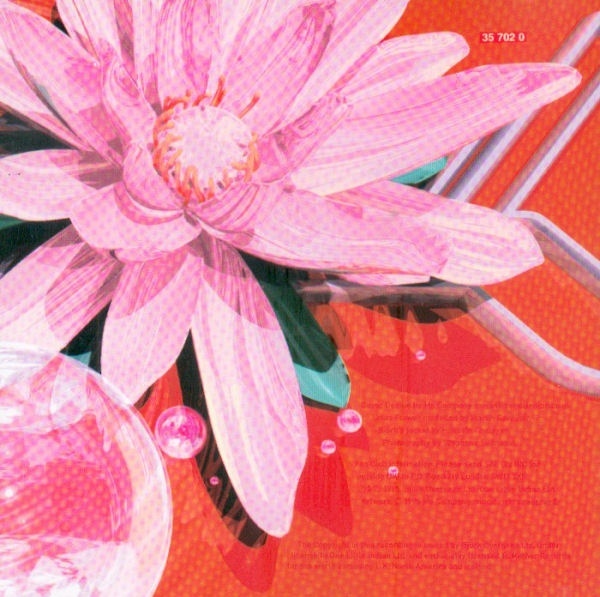 note: super high material (shm) cd presented in mini lp-style card sleeve with mini replica inner sleeve, japanese/english lyrics booklet, individually numbered insert and obi strip. 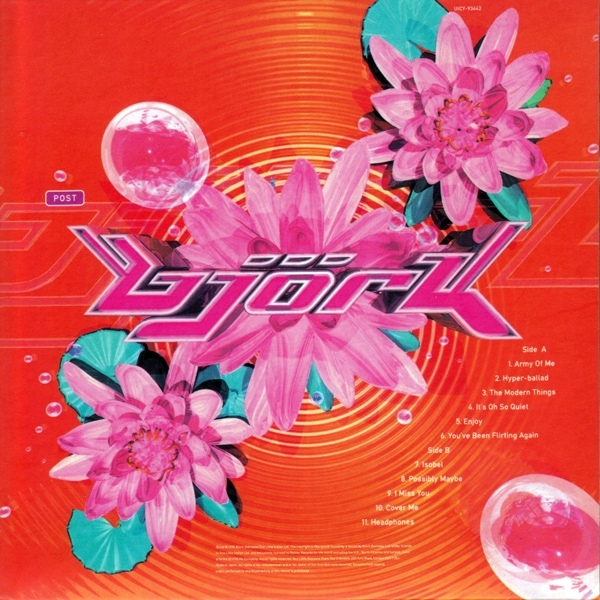 track 2 is also known as hyperballad. note: re-release. super high material (shm) cd. 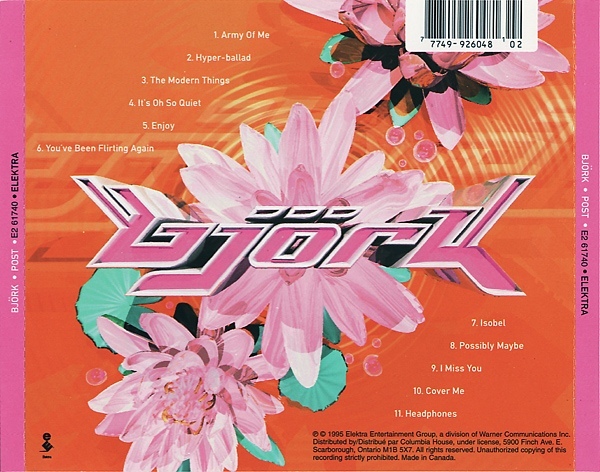 track 2 is also known as hyperballad. note: promo sticker on back and sample reference at the centre of the cd. comes with badge and lyrics sheet. 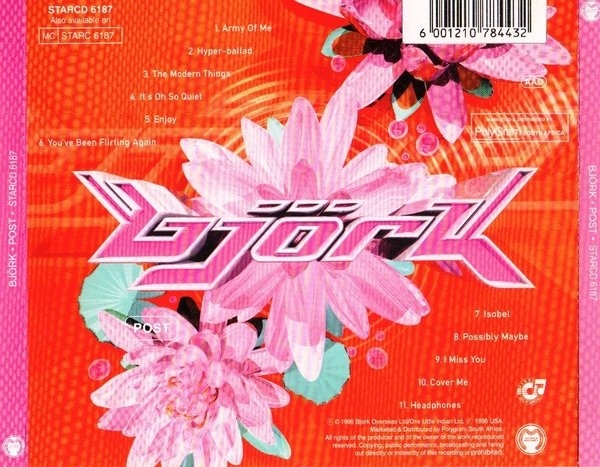 track 2 is also known as hyperballad. note: promo sticker on the barcode and sample reference at the centre of the cd. track 2 is also known as hyperballad. note: track 2: i go humble instead of hyper-ballad. note: re-release in the series "uk attack". track 2 is also known as hyperballad. note: special limited tour edition. 527239-2 (australia) with asian-only front sticker and additional taiwan-only obi strip. 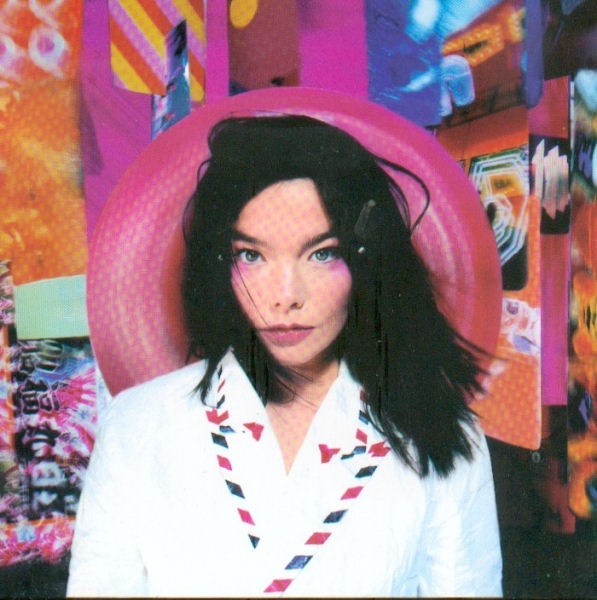 527239-2 is the catalogue number for the whole set, the album cd is 527733-2, the bonus cd is 577465-2. cd1, track 2 and cd 2, track 3 are also known as hyperballad. note: back side of insert is purple. track 2 is also known as hyperballad. note: back side of insert is blank white. track 2 is also known as hyperballad. note: special limited tour edition. 527239-2 (australia) with asian-only front sticker. 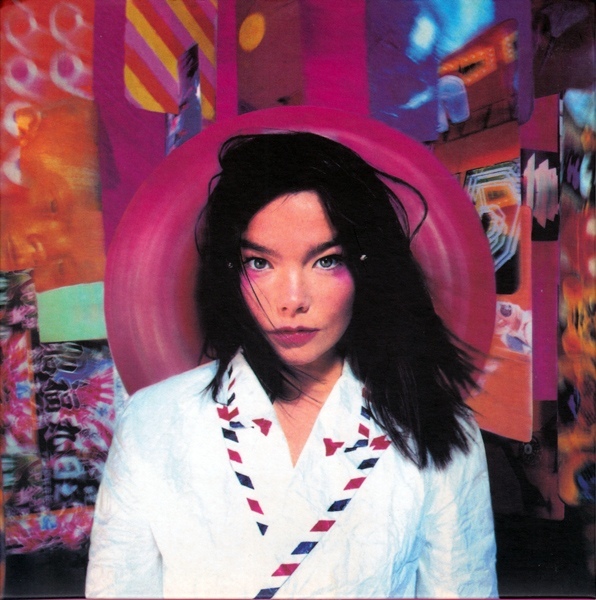 527239-2 is the catalogue number for the whole set, the album cd is 527733-2, the bonus cd is 577465-2. cd1, track 2 and cd 2, track 3 are also known as hyperballad. 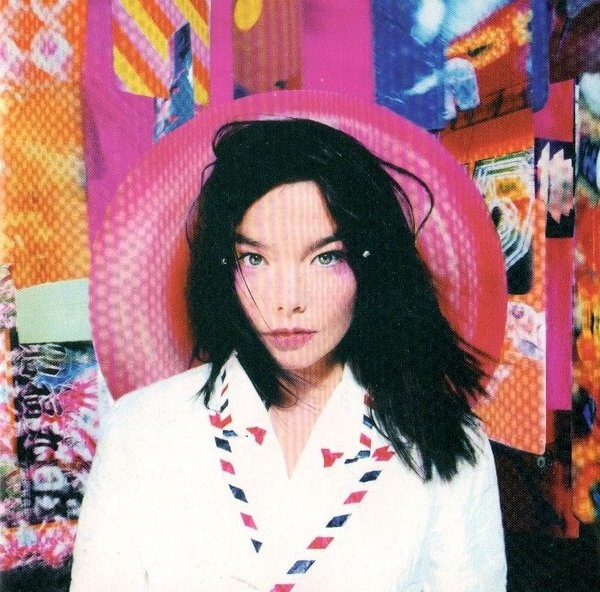 note: comes with four björk stickers. track 2 is also known as hyperballad. 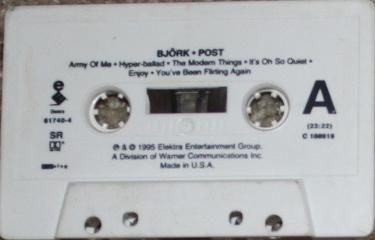 note: black text on the cassette. 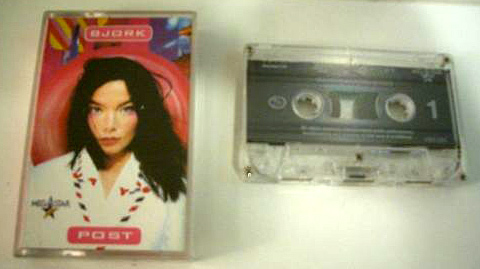 note: white text on the cassette. note: bmg direct marketing club mail-order music service release. note: standard edition with gold-stamped promo reference on front and promo reference on cd label. track 2 is also known as hyperballad. note: track 2 is also known as hyper-ballad. track 3 has later been released as the modern things, track 4 as it's oh so quiet. may include multiple copies of the sleeve.